Your health is always of the utmost importance. You’re going to have to make sure that you stay healthy and fit if you’re going to try and make a living. You also have to make sure that other members of your family are healthy; otherwise, who would you be making a living for? In order for you to do that, you’ll need to make sure you have the proper health insurance or any form of healthcare treatment. 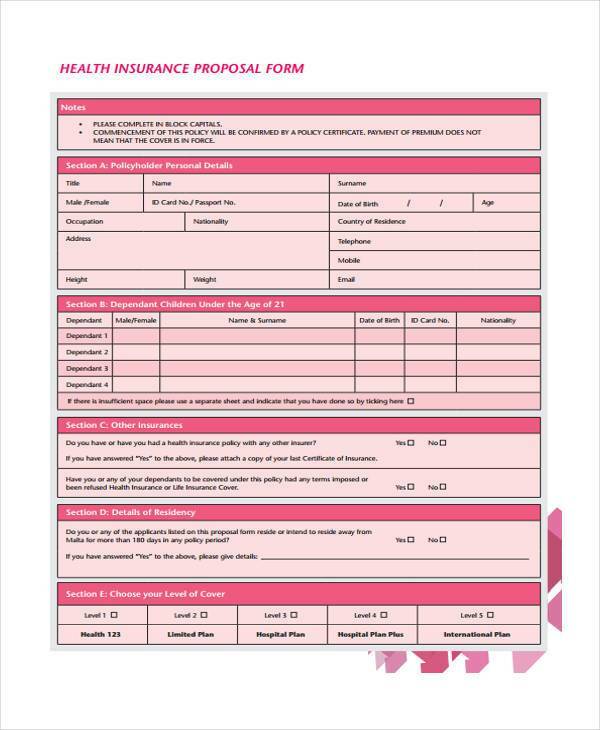 And one way to make sure that you get that is by having Health Proposal Forms. 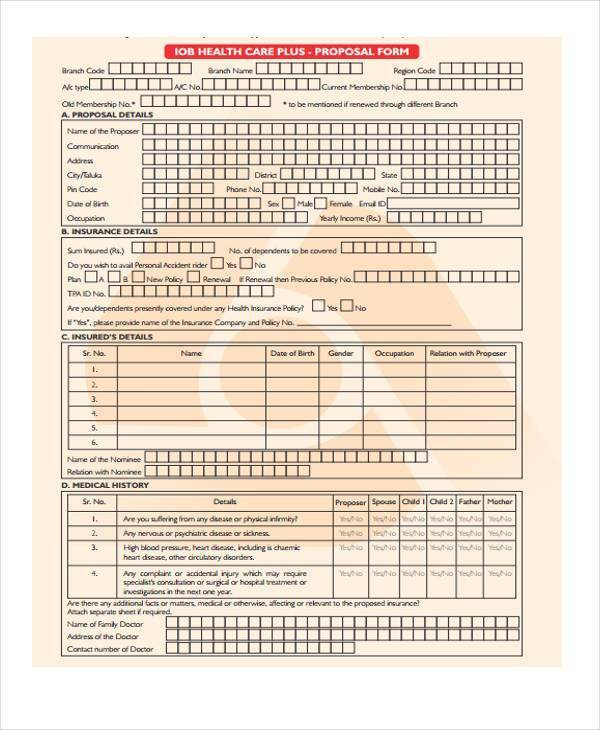 You can browse and download examples of such forms below. 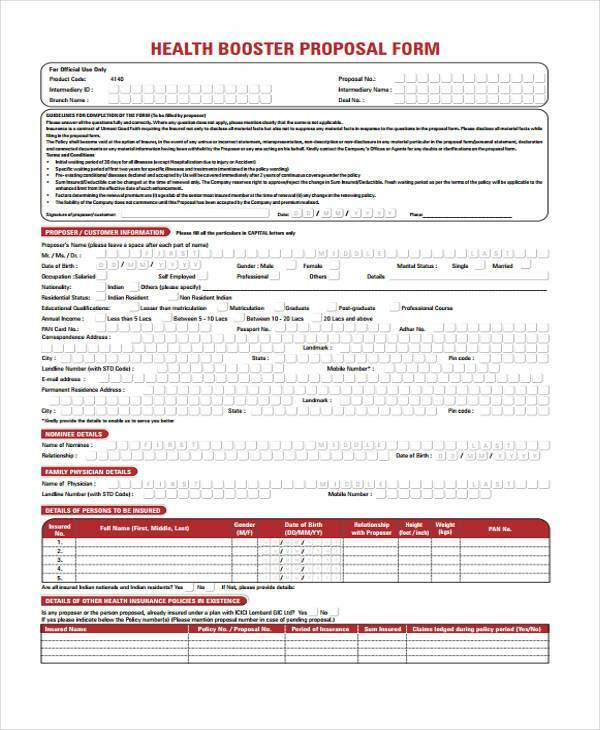 Health Insurance Proposal Forms are the kind of forms that are used by those people who want to propose the kind of insurance plan that they should get. This is to make sure that they get the right health insurance to cover what they think they might need for their health. 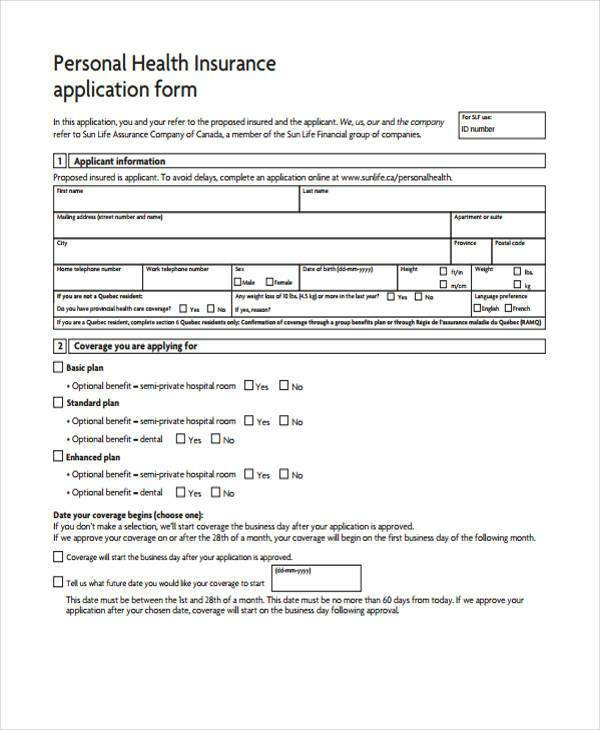 Health Companion Insurance Plan Proposal Forms are for those people, usually couples, who wish to make a joint venture on a companion insurance plan. This means that both partners are under the same health insurance plan and they’ll both be covered. 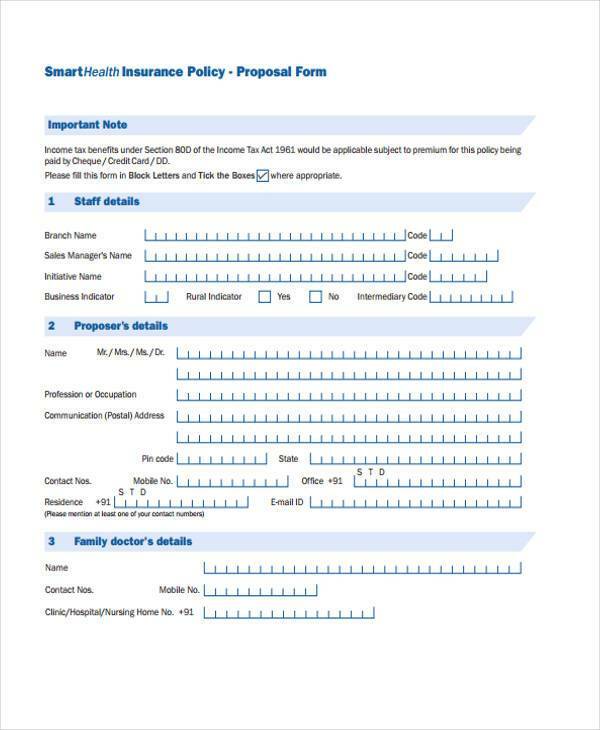 Family HealthCare Insurance Proposal Forms are used by people who want to propose the type of family insurance they want. 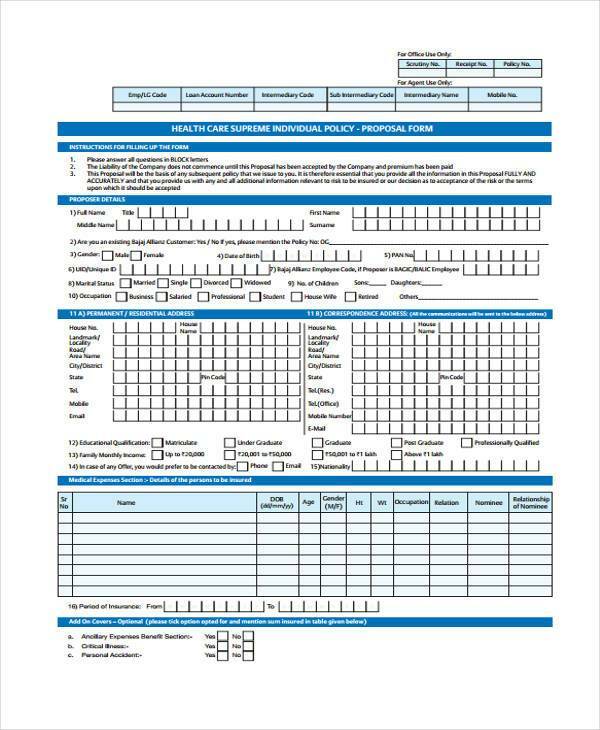 These are for those families who want to make sure that everyone in it is covered with the right health insurance for the right price. 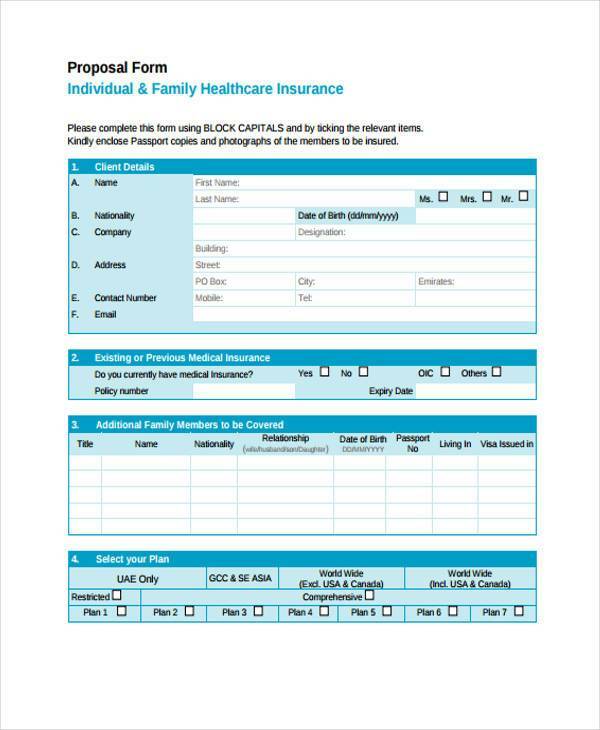 Think of Having Health Proposal Forms as Funding Proposal Forms. 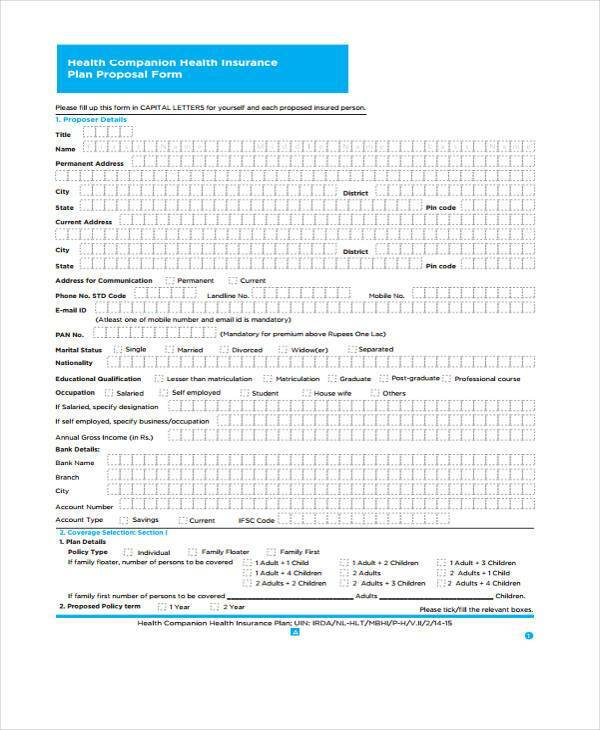 A Funding Proposal form is used by those who propose a project that they want to put money into. Think of your health insurance or healthcare programs as the project that you want to put that money into. 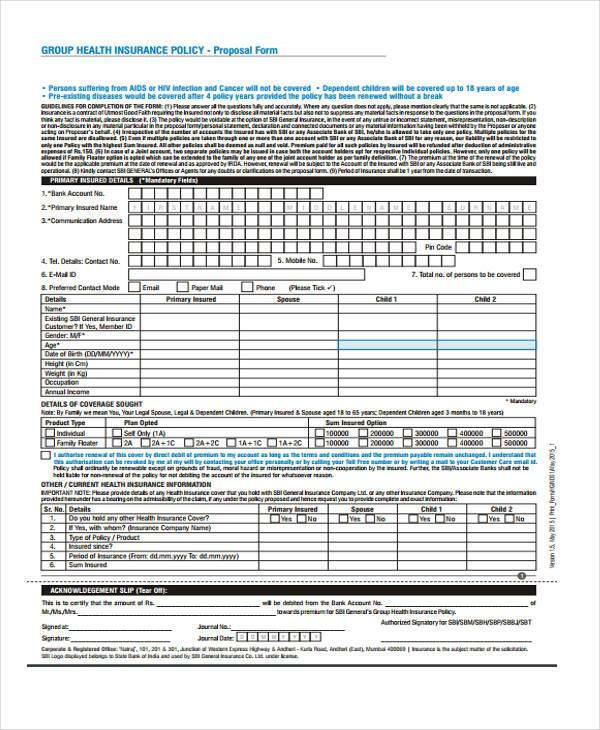 These help make sure that you definitely get the health insurance that you need. 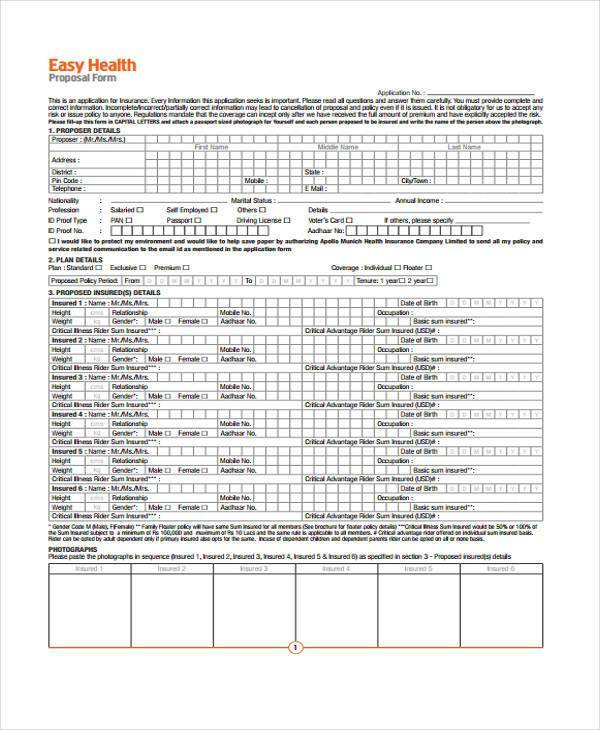 These proposal forms are to help you or companies figure out the kind of health plan that your family, employees, or any other person needs to ensure that everyone stays healthy and that everyone’s health is secured.